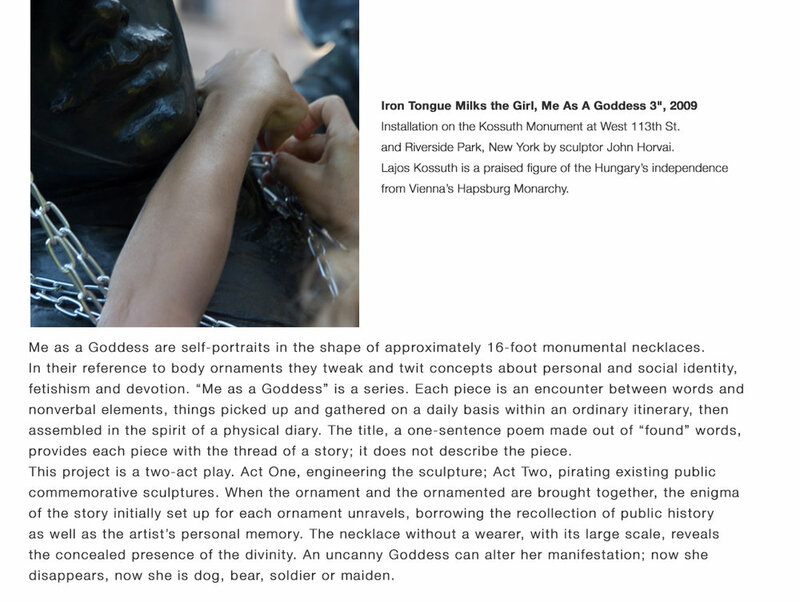 Iron Tongue Milks the Girl, Me As A Goddess 3", 2009. Installation view. Iron Tongue Milks the Girl, Me As A Goddess 3", 2009. Installation view. 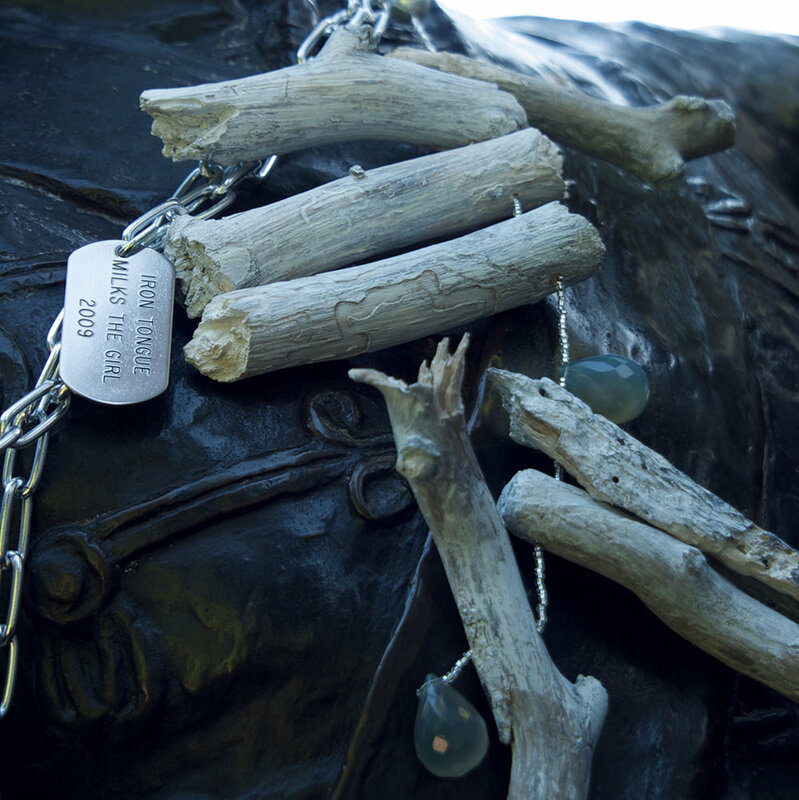 Detail..
Iron Tongue Milks the Girl, Me As A Goddess 3", 2009. Aprox. 6' long. 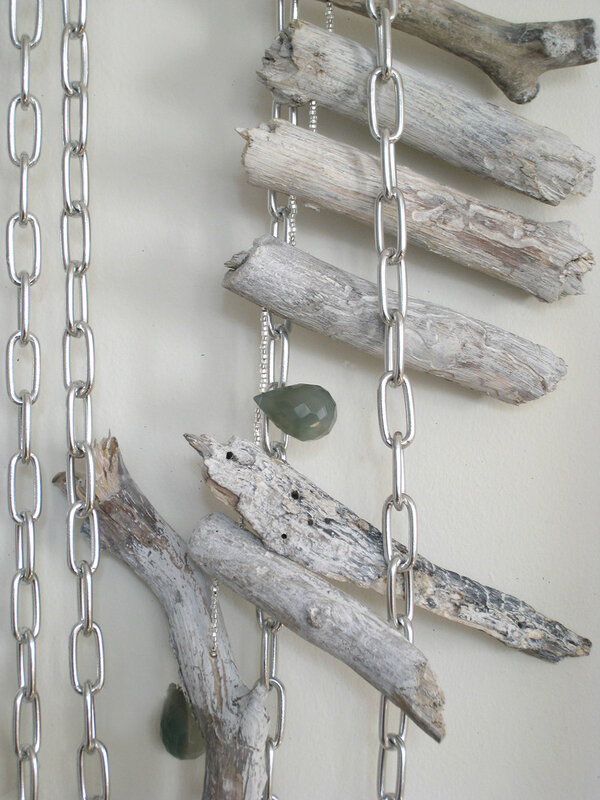 Steel chain and tag, Chalcedony stone, glass beads, drift wood.